In the late 70’s the television industry was forever changed as the record breaking hit mini-series Alex Haley’s Roots took the world by storm. More than 100 million Americans watched as for the first time the African Slave Trade was put on center stage for all to see. It featured a look into the soul of America’s role in slavery in a way that took viewers out of the school history books and moved them live onto the plantation. Central to author’s genealogy story was the Gambian Warrior Kunta Kinteh whose abduction, enslavement, and subsequent lineage unfolded on over 85% of television households in 1977. 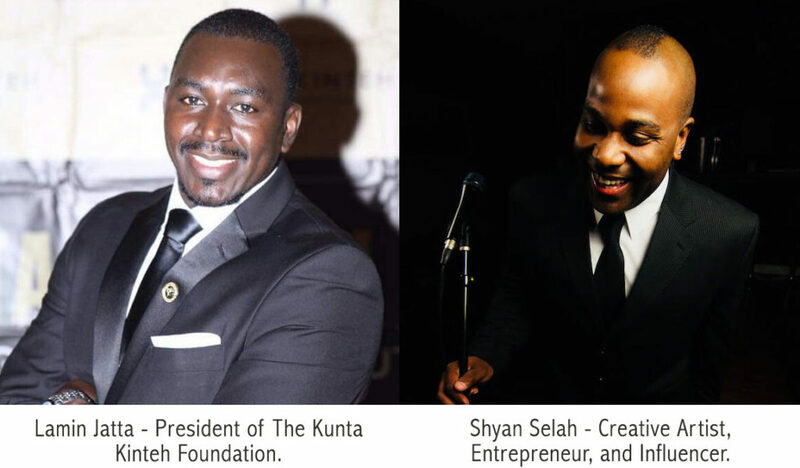 Now Lamin Jatta, an actual living descendant of Kunta Kinteh and President of The Kunta Kinteh Foundation, has been on a journey of his own to bring this legend to the forefront for the world at large to see; most recently playing a pivotal role as Senior Advisor in the 2016 remake of the Roots miniseries which aired simultaneously throughout A&E Networks after a star-studded White House screening for President Obama. Jatta says he has made it his mission to ensure the legacy of his ancestor detailing not only the previously unknown elements surrounding Kinteh’s life, but also the long-term effects the African Slave Trade has had on both African Americans and Africans alike throughout the centuries. Jatta’s quest to bring the drama of his ancestor to the big screen has now reached a boost from his newly formed partnership with the multi-talented creative artist, entrepreneur, influencer, and founder of Brave New World, Shyan Selah. Selah, whose entertainment career has been anchored by a long history of creating and producing exclusive high quality live experiences for communities, is becoming widely known for his ability to use his talents in music and business to work with some of the world’s biggest brands and companies. Selah is driven by his relentless passion to connect the arts back into the fabric of community through innovative and disruptive methods, such as through his soulful Café Noir Project which is featured at Starbucks coffee shops throughout the country. The creative entrepreneur has been building out his entertainment company, Brave New World, with particular attention on developing divisions for book and film production. “This is so much more than making movie. This is about creating long-lasting experiences and we’ll be busy doing that in many ways over the coming years. The story of Kunta Kinteh has so many important life-lessons our society can learn from. It’s a blessing that Lamin Jatta who is an actual family descendant is available, willing and most importantly has been actively engaged in the community regarding the story. We’re living in a world now where projects such as this must also be produced in collaboration with, or by, creatives who are living with a sense of authenticity. Our industries are crying out for leadership to initiate and embrace this type of storytelling, to evolve the corporate entertainment culture, and to create content that is true and reflective to the culture of the community. Connecting with and getting to know Lamin, his story, and his desire for this project to be brought to the people was pivotal for me. Not just because he’s an actual descendant of the great courageous warrior Kunta Kinteh, and not even because of all of the obvious success ROOTS has had on TV since the 70’s, but because there is a community of millions of people worldwide that both deserve and want to know more. This is what the essence of being responsible to a community is all about: being mindful and able enough to produce what the people want, especially when it’s such a culturally important and historic piece.